If both your furnace and AC unit are aging out and one of them fails, you might not think you need to replace both, but there are several good reasons why you should at least consider upgrading all of your equipment when one major component fails. If you take good care of your HVAC components, equipment like the furnace and AC unit are likely to last you a good 15-20 years. However, like all mechanical equipment, these items will eventually fail, requiring replacement. What if only one fails and the other is still running? Can you just replace one? Yes, but you’re not going to get the greatest efficiency out of your system. For one thing, a lot of advances in HVAC equipment have likely been made in the last twenty years since your furnace and AC unit were installed, which means you could experience significantly greater energy efficiency by upgrading both pieces of equipment. In addition, you want to match up components to best complement your home and each other. 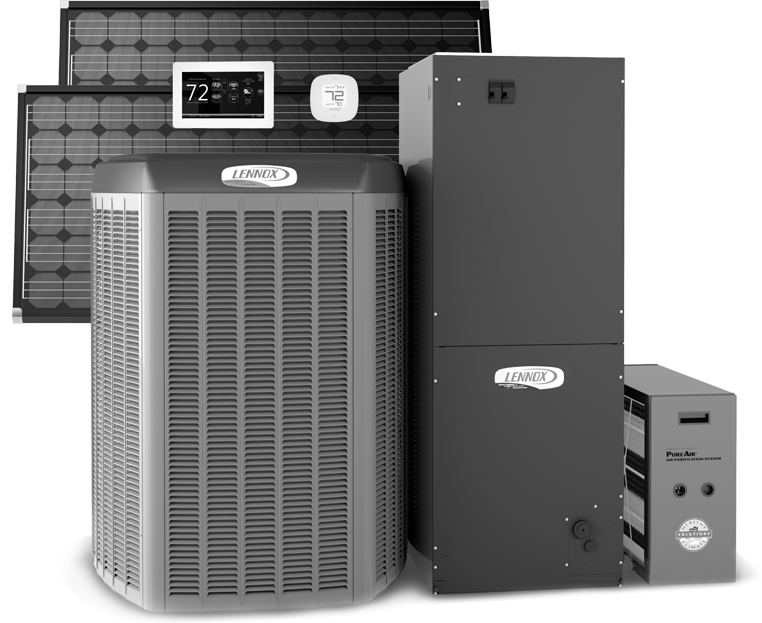 When you replace both at the same time, you can ensure that any shared equipment is optimized to deliver peak performance from all HVAC components, creating a comfortable home interior and reducing heating and cooling costs. Anyone who understand a car engine knows that you should replace hoses at the same time as the radiator. Why? If you leave the old hoses on an upgraded radiator, the boost in performance by the new part will create added stress on the older parts and likely result in blown hoses, a big mess, and expensive repairs in short order. You’ll save time, money, and hassle by replacing all of the components at once. The same basic principle applies to updating your HVAC components. If both your AC and your furnace are older models and you have to replace one, you could set off a cascade of problems throughout interconnected portions of the system if you elect not to replace everything at once. When you install a new furnace and AC unit at the same time, you can match them up for optimal performance and efficiency. It’s hard to believe you’re saving money when you double the cost of your upgrade by replacing the furnace and the AC unit simultaneously, but you will save in the long-run in a variety of ways. First and foremost, you can get the entire installation completed in a single visit, meaning you won’t have to pay technicians a second time to install new equipment down the line. You also won’t have to continue paying unnecessarily for repairs on equipment that you’ll soon have to replace anyways. Plus, you’ll significantly reduce energy waste and heating and cooling costs by upgrading to more energy-efficient HVAC equipment all around. You’ll recoup up-front expense in time and enjoy the optimal performance in the meantime. If your furnace or air conditioner is failing, give Rowland Air conditioning and heating installation experts a call to assess your situation and evaluate whether it makes sense to install a completely new energy efficient HVAC system.